Recently, I returned to looking at the matches for my half-sister Glennis to see what might be new. One of the nice features of GEDMatch is that when you look at a match you can click on the “L” to list the matches that match that individual. In Glennis’ case when I do that if the individual also matches our mother, I know that the match is on her maternal side. If the individual doesn’t match our mother (nor obviously me) that means the match is on her unknown paternal side. In the past she has matched to several people who have appear to have a common ancestor on a Morgan/Odell family in West Virginia. I encountered a match with AHW and contacted the individual’s listed email address. It is always awesome when the individual responds. After a couple emails, AHW’s tree was shared with me. I also took a look at AHW using DNA Painter and found a nice long match on chromosome 13 with two other individuals. According to his tree, his Great-Grandmother was Rachel Odell who I had on my “notional” list. She was one of 11 children of William Odell and Jane Morgan. She and her husband were the brother and sister of Nathan Smith Morgan and Belinda Odell that are am currently researching. AHW shares 58.3cM of DNA with Glennis which would suggest they are 3rd cousins. However, because a brother and sister married a non-related sister and brother there is some endogamy and the relationship is likely a generation further back than I’d otherwise expect. That suggests that Jacob Morgan and Elizabeth Smith and/or Joshua Odell and Susannah Davis are the most likely common ancestor. So, the finding confirms that I am in the right tree and studying the right family line who also appear to have had the four people in the line. The good news of this match is that it confirms Jacob Morgan and Elizabeth Smith and/or Joshua Odell and Susannah Davis as likely common ancestors. It also eliminates their grandchild Rachel Odell and her descendants from consideration. I still have hundreds of descendants to analyze but eliminating one group is awesome. So back to the children of Nathan Smith Morgan and Belinda Odell. I only have four of their 12 children to look at left. Then I can go down the other 25 lines. Sigh…. Hopefully, someone else will test and I’ll be able to jump to a lower spot on the tree. Thank you MWH, (AHW’s contact) for your help and thanks to your other family members on Facebook for helping me narrow my research. Glennis Paternity Project / Roy L Huber? Last fall I began a project to look more closely at the possibilities of figuring out who my half-sister Glennis’ biological father might be. Her closest match was a predicted second cousin, Mike. Mike had a nice, full tree. If Mike and Glennis were 2nd cousins, they would share great grandparents. I took each of Mike’s eight great-grandparents and followed their descendants to see if any of them might have been at the right place at the right time to have fathered Glennis. Only the Hemsworth-Morgan Branch yielded any potential candidates. This month I looked at the closest paternal matches that Glennis has on GEDMatch. The closest match to Glennis was J.C. I contacted the person managing J.C.’s kit, and he provided information for me to see his tree. I knew I was getting close when I saw that Mike’s ancestors and J.C.’s ancestors both included the surnames Odell and Morgan and both in West Virginia. I researched J.C.’s ancestors back one more generation and found that J.C.’s 3rd great-grandparents were the same as Mikes. Four of the 3rd greats were the same. What occurred is that a brother and a sister married a sister and a brother. That makes their children double first cousins. Double first cousins should share about double the genetic material in common than regular first-cousins. As I understand things, that should push the expected common ancestor back one generation. So, the good news is that following J.C.’s line back has convinced me that Jacob M and Elizabeth (Smith) Morgan and Joshua and Susannah (Davis) Odell are common ancestors to both Mike and J.C. Likewise, I’m confident that Glennis is descended from them as well. The bad news is that because of the double first cousin status, I am not sure which of Nathan and Belinda (Odell) Morgan’s eleven children’s descendants are the likely ancestors. It could be any of them. I had followed one of Nathan & Belinda’s children, Mary D, and discovered two potential candidates to be Glennis’ biological father. Now, absent any new DNA Matches, I will need to follow the other ten children’s descendants looking for potential candidates. I have not found an obituary for him. Nor have I found any evidence that he ever married or had children. He is still a possible candidate. If you are a close relative of Roy L. Huber, I would love to hear from you through the contact form below. Research the other ten children of Nathan and Belinda (Odell) Morgan and determine if any are potential biological fathers for Glennis. 2. Research Roy L Huber’s brother and see if he remains a candidate. [i] United States Public Records, 1970-2009, Family Search, Roy L Huber – 31 Aug 1932. Accessed 4 July 2016. [ii] 1940 Census, Family Search, John Huber – Milford Township, Oakland, Michigan – Line 18. https://familysearch.org/ark:/61903/1:1:K4P9-DQP. [iv] 1957-05-07 – Page 1 & 2 – Roy L Huber [Last Sentence]. 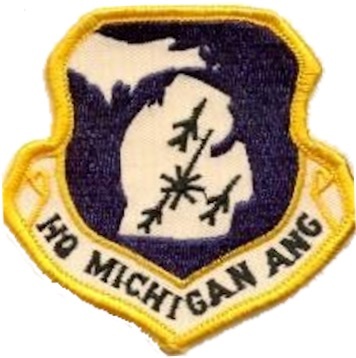 2nd Lt. Roy L. Huber represented the Michigan Air National Guard at an exhibition of aerial firepower and tactical maneuvers at Eglin Air Force Base, FL ., Battle Creek Enquirer, Battle Creek, Michigan. [v] “United States Patent,” The United States Patent and Trademark Office, US Patent 4962709 – Roy L. Huber – Auxiliary Vehicle Deck. [vi] United States Public Records, 1970-2009, Family Search, Roy L Huber – 31 Aug 1932. Accessed 4 July 2016. [vii] United States Social Security Death Index, Family Search, Roy L Huber (1932-1999). https://familysearch.org/ark:/61903/1:1:JPTY-P62. Author Don TaylorPosted on April 30, 2017 April 30, 2017 Categories Peterson PaternityTags DNA, GEDMatch, Roy L. HuberLeave a comment on Glennis Paternity Project / Roy L Huber? Is my biggest brick wall is shattered? 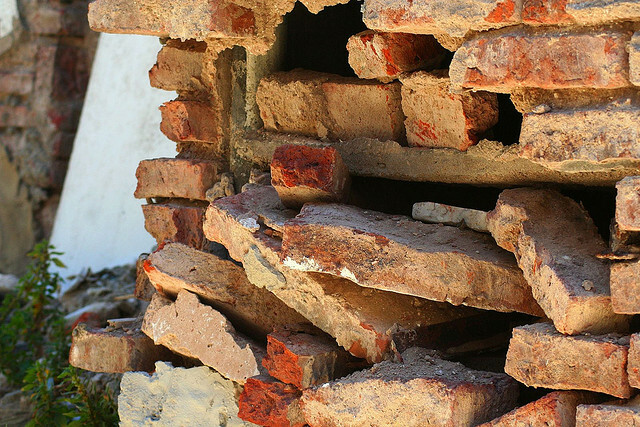 Thanks to genetic genealogy, I believe my biggest brick wall has finally been knocked down, shattered, destroyed. I now have a huge lead as to who my biological father is. Searching for who my biological father might have always been a major purpose behind my genealogical passion. I have been trying to figure it out for decades without real success, until now. In 2012, Y-DNA tests I took indicated that I was a “Roberts.” Family Tree DNA’s results indicated that my four closest relatives were all surnamed Roberts. Has a great tree available on-line. Unable to Contact. Possibly deceased. From this and similar results on the now defunct Ancestry Y-DNA, I surmised that my ancestor was probably a Roberts. W. A. Roberts was kind enough to share his tree with me, so I began looking closely at his ancestors’ descendants, looking for potential individuals that might have been in the right place at the right time. No success. Nothing seems to fit. 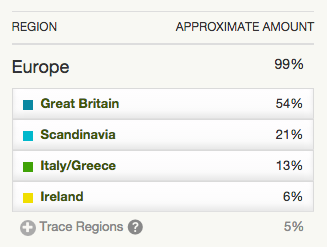 When Ancestry began its autosomal DNA testing, I was an early adopter. When Family Tree DNA began accepting transfers of results from Ancestry DNA, I did a DNA Transfer with them. I also imported my results into GED Match. I figured that the more places you have your DNA out there, the greater the likelihood you will have a match. Maybe even a close match. No such luck. There were a few, four to 8 generations away. Some had nicely developed trees; some only had a couple generations documented. I helped some of the latter improve their trees, but nothing I found seemed to connect with the Roberts “notional tree” I was working on – Until now. This week, I rechecked my results on Ancestry DNA and couldn’t believe the results. There was a new person, T.C. [i] who was identified as a 1st or 2nd cousin. Wow! She and I shared 313 centimorgans across 20 segments. And she has a tree that included a grandmother and great grandparents with the surname of Roberts. Could this be the breakthrough I’ve been looking for? I added the names and the general relationships to my “Roberts Notional Tree” and took note of some of her sources. Then I began researching this potential line. If we really are 1st or 2nd cousins, then we must share a grandparent or great grandparent. I was almost giddy in my excitement. The initial problem was I didn’t see anything that fit the dates and places that my biological father needed to come from. I knew it wasn’t going to be quick, but if I researched, I might find the link I was looking for. I found that TC’s great grandparents had five children – two girls and three boys. Any of the three boys would be the correct age to be my biological father. So, the search was on. The first son I investigated was Bert Allen Roberts, Jr. He was born in Terre Haute, IN. He grew up there and relocated to Cleveland, OH as an adult. As I looked more and more closely at his life, I determined that he wasn’t likely. The second son I investigated was Hugh Eugene Roberts. He was born in Detroit, MI, (like my mother) but moved to Terre Haute, IN, as a child. I found evidence that in May 1950, he was back in Detroit. From that, it is easy to surmise that he could have been in Detroit in October of 1949, when I was conceived. The third son was J. H. Roberts[ii]. He was also born in Terre Haute. He married in 1947 in Detroit, MI. It appears that their marriage continued beyond 1950. I haven’t found much more about his life yet, but I don’t believe he is the “baby daddy” at this time. Bert doesn’t appear to have located to Detroit. J. H. although in Detroit at the right time was married and is a less likely candidate. Hugh was in Detroit at about the right time and is a highly likely candidate. I see two major directions for my research to take from here. Research the children of Hugh Eugene Roberts, contact them, and see if any of them would be willing to take a DNA test. If they are my half-siblings, as I suspect, we should share about 25% of our DNA. So, if they show up in that 787-2134 centimorgan range, I will have proven a very close relationship, probably half-siblings. Oh, yes, also I will continue my research of this Roberts line. Finally, am I certain that Hugh Eugene Roberts is my biological father? No, but I am certain that this finding is the biggest, best lead I’ve ever had in determining who my biological father is. Talk about a Christmas present… Wow. [i] In order to maintain privacy, I am only including initials of potentially living individuals. I was out of town last week for personal business and didn’t have a chance to do any genealogical activity while gone. I’m back now and am putting the final touches on my Social Networking for Genealogy presentation which I give this Saturday to the Greater Portland Chapter of the Maine Genealogical Society (GPS-MGS). See https://www.facebook.com/events/1613563462253782/ for details. I decided to add a couple slides regarding Family Me and We Relate because both of them focus on sharing your family tree and then incorporating a Social Media element in order to allow for collaboration. Once I’ve given the presentation at the GPC-MGS, I’ll try my hand at recording a voice-over and making it a “canned” presentation and then posting it to my website. This week I received the results from Ancestry DNA for my mother-in-law’s atDNA test. The good news is my wife is genetically her daughter so she isn’t a hospital changling/mix-up. (We never thought she was.) Not many surprises. 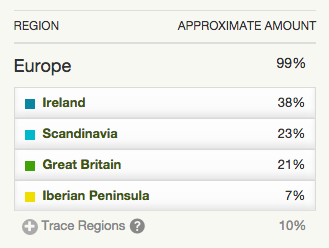 As I look at the results, they kind of imply that my wife father’s line was predominately from Ireland. Because of the way Ancestry groups ethnicity, it still makes sense because “Ireland” includes not only all of Ireland, but also includes the rest of the United Kingdom. There is a heavy overlap with Wales and Scotland, which is where her father’s people were reportedly from. It also interesting to note that most of my wife’s matches do not match with people her mother matches with, so the matches my wife has must relate through her father’s DNA. Lots more about the matches once I can get to working that project. Again, more paternal matches makes sense because my mother-in-law’s ancestors tended to have smaller families than my father-in-law’s family did. Finally, when I have time, I’ll export my mother-in-law’s Ancestry raw data and import it into GEDMatch and see what connections I can find through them. GEDMatch is a great service, one that I highly recommend. Where I am at with my various DNA Projects, October 1st, 2014. I was mightily disappointed when Ancestry quit support for their Y-DNA testing. I was surprised to see that my results and other information was still on Ancestry, but, of course, there were no new matches. My plan to follow my closest DNA match from Ancestry up five generations and back down five generations didn’t yield any potential candidates for the “baby daddy.” So, without any further Y-DNA matches possible through Ancestry it appears that further looking into that line is not going to be fruitful. My wife’s brother’s Ancestry Y-DNA test results are in the same state. No new matches because Ancestry has stopped supporting Y-DNA. Another promising tool that has ended in a dead end. I definitely feel that I wasted some money with Ancestry on their Y-DNA tests. As such, I will probably never recommend Ancestry DNA Testing of any kind because of my bad experience with due to their decision to stop support of Y-DNA testing. 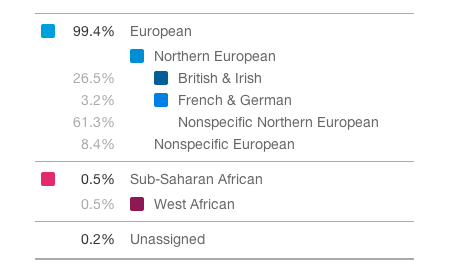 My closest hit to my DNA (89% likelihood a common ancestor in 8 generations) still hasn’t answered. So, I emailed him again. I did do a search for him on line and found a person with his name died a couple years ago. Not looking good for the home team. 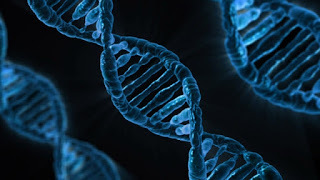 The email address for him in Family Tree DNA is pointing to another person, so it is still possible that I will be able to connect with a relative of his and possibly share information. We will see. 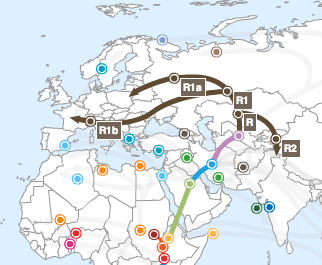 Again, no new connections on Family Tree DNA. I did not do an upgrade kit for my brother-in-law so there is nothing about any connections to him in Family Tree DNA. I’ve been helping a friend, T-Roy, with his genealogy. In particular his paternal side is lost. We know precious little regarding his grandfather and nothing before that. A search for his great grandparents has yielded several potential candidates, however, none are clear. I suggested that a Y-DNA test might help us find someone who is related and then be able to connect the dots from the potential candidates. We’ll see. There was a new “3rd” cousin identified on Ancestry. Because Ancestry doesn’t tell you anything about the match I have no idea if the match is on my mother’s line or my unknown paternal line. The individual, who is now my closest atDNA match didn’t relate their DNA to a tree so I have no idea about potential surnames. I emailed the individual and hopefully she will share her tree and other information. There were several other new matches, however, they were all 4th cousin and greater. I looked at any family trees that they have and didn’t see anything of interest. from my unknown father’s side from my known mother’s side of the family. (Arthur D & Mary (Manning) Brown). generation to our common ancestors, Stephen and Fanny (Taylor) Blackhurst. matches, investing much time isn’t very helpful. can those differences to potentially find other relatives. to them so they can keep the site in operation. your data and populate into their system, don’t complain about the speed. Again, did I say donate? DNA is a helpful tool. It has the potential to break down some brick walls, as it did for my Blackhurst tree. However, it is not likely to magically solve a problem or give answers to difficult questions. There are a number of utilities that can help understand the matches I’ll look at them in a future blog posting. In the meantime, I’ll continue my searching in this area.